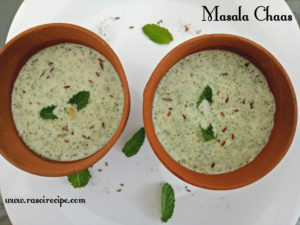 Today’s recipe is a healthy drink ‘Masala Chaas’. Masala chaas is a perfect refreshing beverage for summer and you can enjoy it with any of the three meals or as a mid-meal option. It is full of ingredients which are known for their cooling properties. As this year Ramzan is also in summer season, you can also have it during iftar. Normal chaas is prepared only with curd, water, salt and roasted cumin seeds, but masala chaas is different. 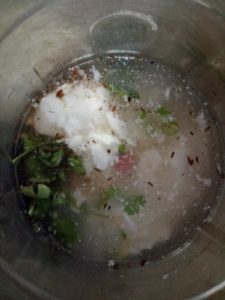 For this chaas, you will need, curd, water, salt, black salt, roasted cumin seeds, mint leaves, green chillies, ginger (optional) and coriander leaves. 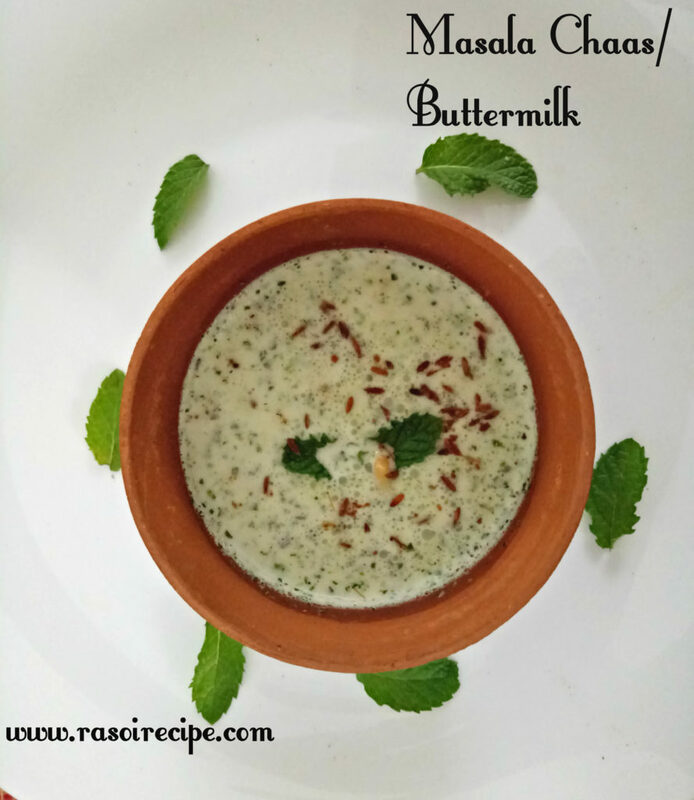 There are two most popular form of buttermilk in India – chaas and lassi. Chaas is salty in flavour whereas lassi is a sweeter drink. For more beverage recipes you can check here. For Ramazan/Ramadan recipes you can check here. In a bowl add curd/yogurt, coriander leaves, mint leaves, green chilli, common salt, black salt, roasted cumin seeds and ginger. Mix well. Blend all the above ingredients along with 1 cup of chilled water in a blender. If serving immediately, add ice cubes and blend again. Otherwise, keep it in a container in refrigerator and add ice cubes while serving. 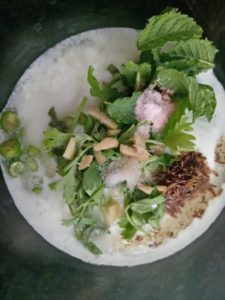 Garnish with mint leaves and roasted cumin seeds. Ginger is an optional ingredient, to make chaas more spicy. You can also add chaat masala in the chaas.